Nick Gaffney‘s Roundtable series takes on Law Firm Associate Perspectives on Professional Development, with contributions from Chandana Ravindranath, an Associate at DLA Piper in New York, Henry Warnock, with Ford Harrison in Atlanta, and Tracy Weiss, an associate at Greenberg Traurig in Phoenix. Why are associate attrition rates so high? Author Rachel Silverman asks and answers the question in “Associate Engagement Is No Laughing Matter.” A key reason is a lack of genuine engagement in the most important drivers of professional satisfaction. A savvy associate engagement strategy will increase your associates’ motivation and productivity–and your bottom line. Of course, I’m going to highlight my own contribution. 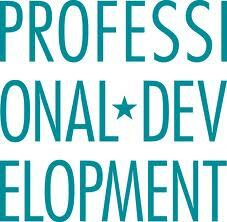 In “Ethics Imperative to Business Development Learning,” I address the way PD and marketing programs intersection when it comes to ethics compliance. From websites and social media, ratings and rankings, the ethical implications of marketing activities are varied and complex. Ensure your professional development program isn’t forgetting the ethics component of marketing. It is highly embarrassing to law firm management than the letter from the state disciplinary counsel citing a firm for violating the RPC in marketing, advertising or solicitation.